Psychotherapy can be extremely challenging, and often futile if you choose the wrong health-care practitioner. Approach someone who is compassionate, caring and ethical and the challenges can be met head-on. Talking cures and psychotherapeutic techniques are especially beneficial for those facing life conflicts, mental health issues, stress or a life event that is negative. But don’t expect your therapist to know it all. When it comes to empathy, there is a degree of subjectivity and bias that inevitably creeps in as therapists attempt to be in your shoes. For battling emotional challenges, however, psychotherapy can prove invaluable in the context of an open, honest and caring communication between the self and the therapist. Therapists can offer lasting personal change and the power to transform your emotions to the positive end but bear in mind that textbook cases or experimental research cannot replace experience and a genuine desire to help. Your therapist may have all the qualifications, but lack the humanity, respect, and compassion to help you through the problem. 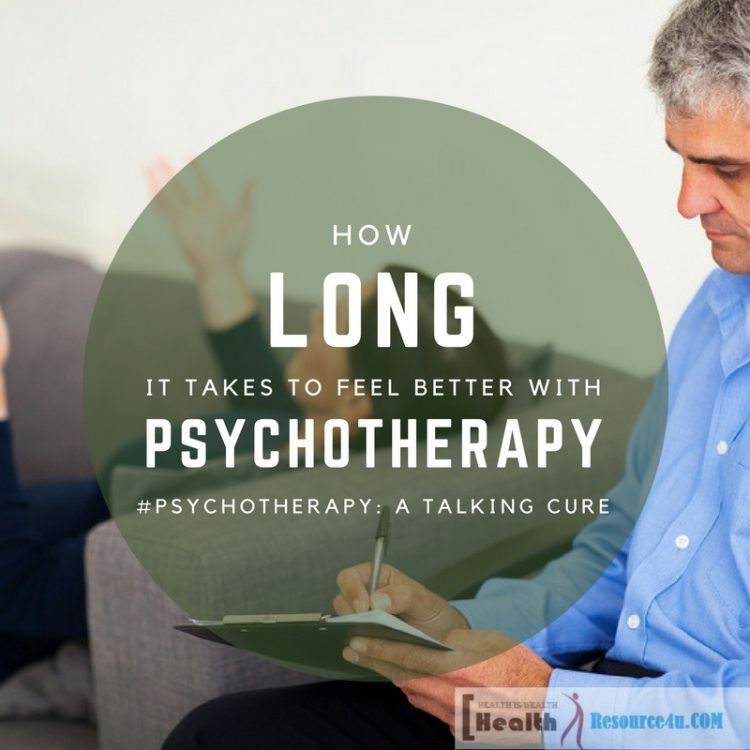 For those who want to know how long it would be before therapy makes a person feel better, a part of the answer lies in the competency of the psychotherapist. Meaningful experiences with clients and the daily challenges of being a therapist must be reviewed by mental health practitioners. It is not simply a matter of laughing away the client’s concerns! Ultimately, whether psychotherapy is a success or a failure is based on whether one has the courage to explore one’s vulnerabilities and trust another human being with an open heart. Reaching out can be as much of a challenge as being able to listen and understand what the client is saying in a deeper and meaningful way. In the end, therapy that works meets this essential criterion. Self-reflection on the process is important on the part of the client too. Blindly stepping into a therapeutic relationship and expecting to be helped can backfire. Additionally, a bigger question is, can therapy turn into dependency. Therapy essentially focuses on not finding a cure, but reducing the pain instead, as Freud commented, turning hysterical misery into usual unhappiness. Additionally, Freud held that therapy had no goals, no guarantees and there was no foolproof way of knowing whether it would work in the end. The findings of the American Psychiatry Journal reflect this, indicating that trials to test which psychotherapeutic effort is most valuable can fail because different styles of therapy overlap so much. As per the NIMH estimates, more than 1/4th of Americans experience anxiety, depression or other mental disorders in any given point in time. Many need help in coping with serious medical or mental health conditions, weight loss or smoking cessation. Others may be facing life crises, relationship conflicts, bereavement, substance abuse and addiction or more. Whatever the problem, it can become extremely debilitating in the absence of supportive care. Psychologists can help in working through problems. Psychotherapy can also be administered by a counseling professional, a clinical psychologist or a doctor psychiatrist. The aim of the therapy is to enable people to live happier, healthier and more productive lives. As far as psychotherapy is concerned, the aim is to apply scientific methods and techniques to help clients overcome conflicts and develop more effective habits. The focus is ultimately to use psychotherapeutic approaches like CBT, RET, Interpersonal and other kinds of talking cures to help people work through their problems. Psychotherapy is a collaborative treatment where open, clear communication between the client and the therapist is a must. With a grounding in dialogue, a supportive environment allows talking with a mental health practitioner who is neutral, nonjudgmental and objective. The therapist and the client must work together to identify changes in behavior and mental thought patterns that come in the way of feeling better. Once psychotherapy is carried out, it’s not enough to just solve the problem. You must also learn how to have new skills to cope with challenges coming in the way in the future. Misconceptions and myths about psychotherapy abound. This can create a reluctance to try it out. Being grounded in reality is a must while attempting therapy. Remember that overcoming negative emotions like anger, anxiety, depression, and nervousness is worth it. Psychotherapy can help if the quality of your life is worsening. Whether you feel depression, anxiety or anger, it can interfere with emotional and mental as well as physiological well being. Short-term problems can also be cured through effective navigation. Whether you are going through a divorce, facing bereavement, unemployment or a life conflict, there are many signs you could benefit from therapy. If you are feeling overwhelmed, and sad as well as helpless, a therapist can help you to lessen the feeling of not being able to cope. The therapist can empower you to develop coping and troubleshooting skills to deal with the problem. Additionally, psychotherapy can prove effective when problems or conflicts are worsening despite support from family and friends. You should also consult a psychotherapist when you find it difficult to concentrate on everyday tasks, experience extreme emotions and lose the ability to function effectively. Actions such as drinking excessive alcohol, drugs or resorting to aggression can harm yourself and others. It’s time to consult a therapist if you feel unable to cope. There are wide and varied approaches to psychotherapy. Psychologists and psychiatrists can draw on these. Each perspective works as a road-map to help psychologists understand clients and their problems and develop solutions. Treatments depend on many factors such as present psychological research, theoretical orientations of the psychiatrist and what works best for you. The theoretical perspective impacts how the counseling session proceeds. For example, psychologists using CBT try behavior modification principles and practical approaches to treatment. Techniques like homework assignments may be offered as a means to let off the pressure when it comes to handling particular situations as they occur. Logging reactions, practicing responses or trying psychological techniques like systematic desensitization and flooding may be attempted. Psychoanalytic approaches, on the other hand, focus on unearthing unconscious reasons for inner conflicts and identifying defense mechanisms used to see if the person can be helped to develop better responses to mental health issues. Humanistic or Rogerian therapy focuses on the use of empathy and positive congruence as tools for therapy. Additionally, most therapists and psychologists do not tie themselves to a particular school of psychotherapy. Most therapists do not associate with a particular approach, and elements are blended from different approaches to tailor treatment as per client needs. Talk or psychotherapy is a critical point of treatment for bipolar disorder, depression and a host of mental health problems. Skilled therapists can help to solve problems, cope with feelings and change maladaptive behavior patterns further contributing to symptoms. This form of therapy is not just about talking through problems, it often focuses on working towards effective responses to cope with the problem as well. Most forms of psychotherapy are focused on current thoughts, feelings and life issues. Being focused on the past can help in explaining things in everyday life, but staying in the present is important for coping with future problems. Specifically, while a therapist or counselor is consulted more often when they first begin collaborating with you, as one progresses towards goals, appointments can take place less often. From comprehending the condition of mental health to reaching and defining wellness goals, overcoming insecurities and fears and coping with stress, it is important to make sense of past trauma and separate your real personality from the conditions caused by your mood. You also need to locate the symptoms that can increase the intensity of the disorder. Getting support from friends and family is important too. Establishing a stable routine that is predictable and dependable is important. Study how to develop a plan for coping with crises. Understand how you can cope with things better by resorting to less destructive habits like drugs, aggression or escapism. 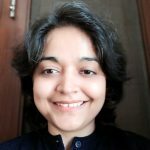 Apart from an MD in psychiatry, PhD, PsyD, EdD and MS professionals as well as social workers who possess qualifications such as DSW, LCSW, CCSW, MSW and LCSW or counselors with MA, MS, LCPC or LMFT qualifications can also administer therapy, along with psychiatric nurses specializing in APRN, and PMHN. The ability to communicate openly and honestly with therapists, setting goals that are clear and making progress that is real also matters. You must relate to the therapy as a partnership. Feel better by opening out in a trusting relationship where confidentiality is respected, instead of psychiatrists and psychologists running to TV interview channels to share details of their famous, troubled clients, or opportunistic mental health professionals milking your malady for publicity. When the first step forward is taken, you need to be aware of what is bothering you in terms of issues in the family or other relationships, symptoms like sleeping or eating too much or too little, anger, anxiety, irritability or troubled feelings and thoughts of hurting oneself. While there is no specific timeline before you start to feel better, the first few sessions require the most work. Therapists need to be aware what your goals for the counseling session are and whether they are the right fit for your needs. Once a few sessions are over, therapists can work out how long therapy will take and changes that can be seen in the mood. Within the first weeks, you need to list out the long and short-term goals with therapists. Track how you feel each day and cope with tough situations. Once the time has passed, check the list and see if you are closer to attaining your goals. Progress needs to be viewed in tandem with your counseling therapist. Improvements don’t take place overnight. Change is just a means of understanding feelings and thoughts. If no relief is felt, consider changing your therapists. Choose the best treatment possible and you will feel better. This is goal oriented therapy and works when patients take on an active role. Another aspect of this therapy is clients understand those core beliefs/automatic thoughts that bring about negative emotions. Therapists can help people to see thoughts and beliefs as false or not making sense and helping the person to change these.The behavioral aspect of CBT takes place after a person has attained a calmer mind. This is another form of CBT. The therapist offers support for persons that feelings and behaviors are understandable and valid. Therapists also provide coaching for people to understand that it is their responsibility to change behaviors and feelings that are maladaptive if they want to get better. When behavior is disruptive or boundaries are breached, the results can be negative for not just the client, but others around him and her too. You need to teach skills that better boost future similar situations. DBT needs both group and individual therapy. IPT is limited in terms of time and goal oriented. It addresses the symptoms of the person, as well as social relationships and roles. Interpersonal therapy focuses on the here and now and helps a person to make the change, rather than just understanding reactions and actions. Conscious, outward actions and social adjustment form the core of IPT. The aim is not to develop a new personality, but to teach skills that can lessen symptoms. This therapy identifies conflicts and difficulties among members of families that are worsening a person’s disorder. Therapy aims to help members find effective ways to resolve difficulties. Therapists educate family members about mental health conditions and how to enable clients to manage effectively. FFT focuses on stress felt by caregivers as well. Therapy attempts to prevent family members from suffering a burnout or disengaging from efforts. This involves cognitive therapy techniques along with exposure to triggers that cause the trauma. The therapist encourages the person to revisit the trauma and share what has been experienced. This helps to better process trauma that has occurred. Therapists can also assign homework when clients face distressing stimuli and need to respond in more positive ways to them. The person should increase tolerance and decrease anxiety associated with things or events. This is a type of therapy where clinicians can request persons to think about the trauma while focusing on other more positive support through tapping and hand movements. Light therapy is used for treating seasonal affective disorder where a person experiences depression in the year when sunlight is at its minimal. Light therapy involves emission and shining of light akin to sunlight. This helps people to recover from the anxiety and despair caused by lack of light. This form of therapy requires improving the overall functioning by reducing stress levels and dealing with problems through the medium of art. This therapy helps clients to understand how behavioral changes can lead to advances in the way one feels. It focuses on raising the person’s engagement in socially reinforcing or positive ways, and assessing what the client is doing. The aim is to increase the opportunity to have positive experiences. The goal is for desirable behavior to replace undesirable ones. This therapy is based on the premise that maladaptive behavior patterns are the root cause of the disease. This form of therapy begins with the idea that one thinks in irrational ways and this leads to pathologies. Depression is based on thoughts or beliefs that do not come with evidence. Changing these beliefs can modify a person’s view of events and their emotions. Thinking and communication patterns come into play here as therapists work with clients to confront thoughts which are inappropriate and create a mental health issue. Cognitive therapy is beneficial for treating PTSD. This form of therapy involves looking at symptoms in the context of the family. This requires treatment of the family as a unit. Identifying family patterns contributing to mental illness or behavior disorders can help clients to break out of maladaptive habits and thought patterns. Family therapy also focuses on enhancing communication within the families and propagate new means of thinking and responding to questions rather than getting defensive. A group therapy session involves support groups and clients in a collective setting to share their similar problems and issues and respond to feedback. Group therapy extends social support besides improving problem-solving skills of clients. While participating in groups can be hard, it helps individuals to realize that they are not alone and others have the same problem. This is insight oriented therapy focuses on deep-seated behaviors and their causes. Patterns of behavior stem from a person’s earlier life experiences or upbringing which impacts current behaviors. The key is to increase self-awareness and understand how the past affects the present. Clients need to consider issues and symptoms that are unresolved from dysfunctional relationships in the past. Unresolved problems can stem from substance abuse as well. This can help people to understand sources of emotional distress, explore motives, defenses, and needs that one is not aware of. Psychodynamic therapy can help people who have not been resolved by other psychotherapeutic forms. Psychotherapy can enable people to understand themselves and others better. Psychotherapy benefits clients by enabling them to be able to talk and share their emotions. It offers new and novel ways of looking at difficult problems and helps people to reach a solution. Participants gain quicker understand and in-depth comprehension of goals and values as well as skills for improving relationships. This can help in overcoming specific problems such as phobias or eating disorders. For psychotherapy to work, an individual needs to be engaged actively and work during and in between sessions through new skills. A 2-way process, psychotherapy offers a trusting relationship between the therapist and the client. For benefiting from the process, persons need to be able to participate in a deep and caring interaction. If psychotherapy has to work, clients need to attend appointments, be honest in describing symptoms and completing assignment sets. Clients can experience change they never thought possible as a result of therapy. While reliving the trauma may seem hard, in the context of caring, therapeutic relationship, insecurities and anxieties can be effectively explored and overcome. Psychotherapy is time-consuming and expensive. But it is worth it, offering responsible, appropriate and medically necessary care. Referring to therapists is the indication you need help in solving your problem. Psychologists and mental health counselors, as well as psychiatrists and other mental health professionals, indicate there is significant evidence psychotherapy is a treatment that is effective. Psychotherapy, over the required period of time, can help individuals to make positive changes in their lives. Studies show 75% of people who enter therapy benefit from it. Therapy clients are better off towards the close of treatment as opposed to 80 percent of those who don’t receive treatment at all. Successful treatment is evidence-based, appropriate for problems and is based on a successful partnership between clients and therapists. 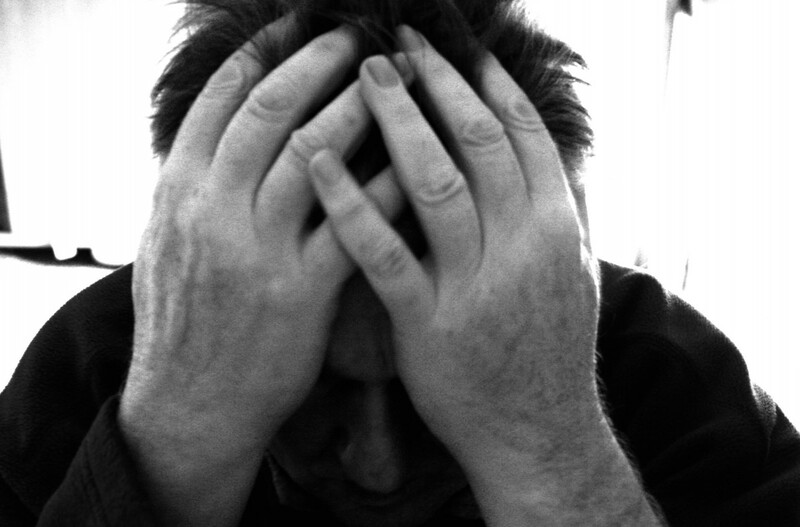 When people experience therapy, they may feel distressed is never-ending. But therapy can help people to understand they can improve their situation. This can enhance healthy behavior patterns and positive thinking. Though some problems and issues respond to better forms of therapy, what remains important is the alliance between the therapist and the client. When psychotherapy begins, therapists work with clients to develop goals and a treatment timeline. As one goes along, it becomes essential to examine if the treatment plan makes sense and whether the client is making any progress. When it comes to a number, there’s no such thing. Some clients feel better in 6-12 sessions while others may need more time. Ask therapists about alternative treatments if therapy is not beneficial. As therapy progresses, clients need to be clear that they may feel worse before they feel better. After all, exploring negative emotions is hard and this does not mean therapy is not working well. Your psychiatrist or therapist can push you to face difficult truths and work to make changes. Strong emotions can be a sign of growth and the relationship between the therapist and the client needs to be open and honest. Work with a therapist who understands you instead of taking it personally or persevering with one who does not. Therapeutic alliances are critical to effective psychotherapy. A good therapist can help you to not give up on psychotherapy despite the first few sessions not working out as you had planned. How long psychotherapy takes depends on factors like the client’s goals, his or her characteristics and history, life outside of therapy and the speed of progress apart from the fact that the condition is severe like psychoses and schizophrenia or milder like anxiety. While some people feel better after even a single session, others may take longer. For those who do get immediate relief, meeting with a therapist can help in perceiving situations differently and offer relief from pain. Most people find benefits post a few sessions, especially while working with well-defined issues. For example, if you are suffering from psychoses, you may need a therapist’s support to understand the delusions and hallucinations are unreal and voices cannot harm you. Think about learning new coping skills rather than focusing on the time you spent in therapy. For many people, it may even take a year or two to benefit from psychotherapy. People have experienced multiple problems, serious traumas and perhaps they did not give the therapy the length of time needed for it to work. Those with significant life changes or serious mental health ailments need ongoing support and medical care. Regular sessions can prove beneficial for supporting everyday functioning. But bear in mind that psychotherapy does not have to last for life. In one study, 50 percent of clients improved after 8 sessions and 75% after only six months. Decide on a treatment plan when you commence with psychotherapy. Once you understand that waking up is easier and going to sleep is simple too, despite the mental health issues, your disruptive behavior may lessen or be completely eliminated. Once therapy ends, visiting the physician for periodic checkups is critical. Meet with the therapist in some weeks or a month post the conclusion of psychotherapy to report how one is doing. Wrap things up in the follow-up sessions. Don’t think of therapy as something which is endless or something which has stages. The progression can vary depending on the unique needs of the individual and the possibility that new problems may rear their heads, once the older ones have been solved. Psychotherapy is a critical intervention and it is needed for resolving mental disorders and mental health ailments. Numerous techniques and methods abound for treating mental health issues, from communication to behavioral conditioning and other methods for patients to improve their quality of living and mental states. Psychotherapy can prove beneficial for those with physical ailments as well, and not just psychological ones, with studies showing heart and cancer patients had better survival rates post therapy. So whether it is a sound mind or a sound body, health is very much your responsibility as much as it is the therapist’s and working together is something that should be valued for what it is truly worth.